In a post-apocalyptic world, the remaining survivors live in fear of creatures that kill whatever they hear. One family has learned to adapt and survive by learning to live in silence knowing that one noise will mean their death. Listen to all that ambient noise. It's like an ASMR video, except every once in a while, a giant, flesh-eating creature tries to pop out and devour you. Fun! 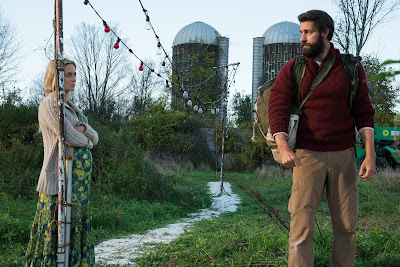 "A Quiet Place" is directed by John Krasinski, who is best known for being Jim from "The Office." Krasinski has also directed two other films including "Brief Interviews with Hideous People" and "The Hollars." He also helped write the screenplay along with Bryan Woods and Scott Beck. Attempting to go full-on Orson Welles, Krasinski also stars in the movie opposite his real-life wife Emily Blunt as Lee and Evelyn Abbott. 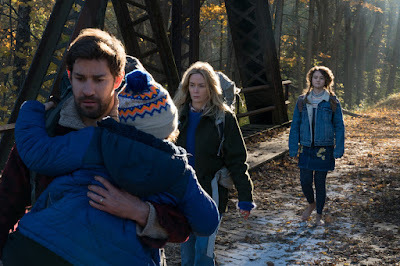 They are trying to survive with their kids in a seemingly post-apocalyptic world. The planet is under attack by deadly creatures that are fast, durable, and eat people. However, the creatures are blind and can only attack what they hear. In order to stay alive, the Abbott family has learned to adapt, living their lives in relative silence by communicating using sign language and very hushed voices. It's a smart idea to create a situation where making any big sound can lead to your death. It's a good device to help build horror and tension. We saw this idea used to great effect in the 2016 film "Don't Breathe," and we see it used excellently here as well. BigJ and I, along with a relatively crowded theater of people (except for one guy who must not have seen any of the STFU marketing for this movie and let his phone ring for what felt like 20 minutes) sat silently and on the edge of our seats as our eyes widened with every step, every breath, every movement the characters took. We began to feel stress and tightness in our chests each time someone in the Abbott family made even the slightest noise. While we weren't completely scared by this movie, we have to admit that it is massively effective despite its simple premise. 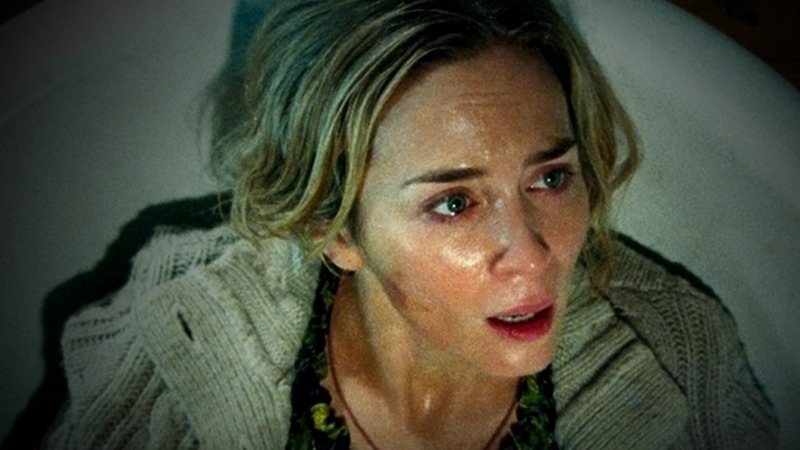 One could criticize "A Quiet Place" for using jump scares as its primary method to startle the audience every time the silence is broken. There are a few other horror tropes used here that have become a cliche over the years. For example, the "BOO! Oh wait, it's only a raccoon, BOO! Oh, it's only my brother, BOO! Hey! What the hell are you doing slapping that glass door with your bloody hand? I thought we were supposed to be quiet!" type of thing. 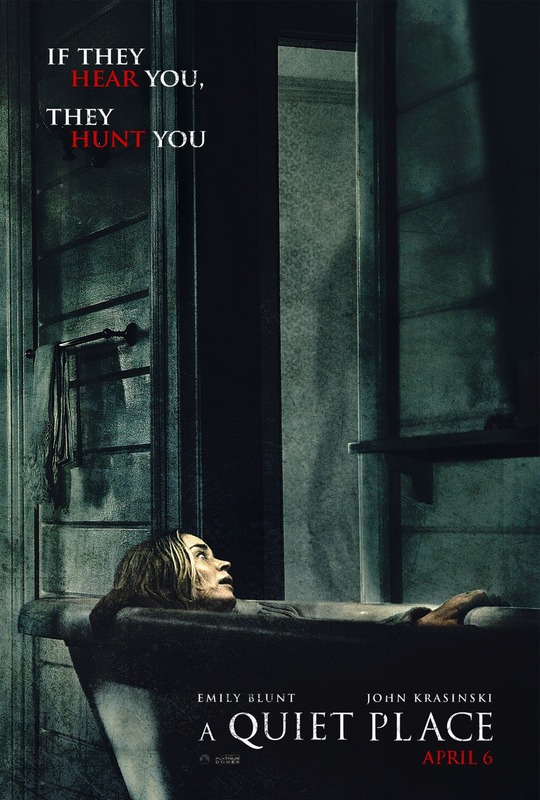 That being said, the creepy atmosphere, the emotional mood, the intense score, and the nail-biting tension are very palpable, which also aids in creating an overall frightening feel. Combine this with some pretty scary looking alien creatures made with well-done CGI, and you've got a recipe for $50 million opening weekend success. We are always impressed to see how good CGI can be in lower budget films. Here, they managed to get the most bang for their buck by limiting the FX shots to a few exceptional instances. This story also has interesting characters and is every bit as much about exploring the Abbott family's dynamic, their internal conflicts, and their unique situation as much as it is a survival story. 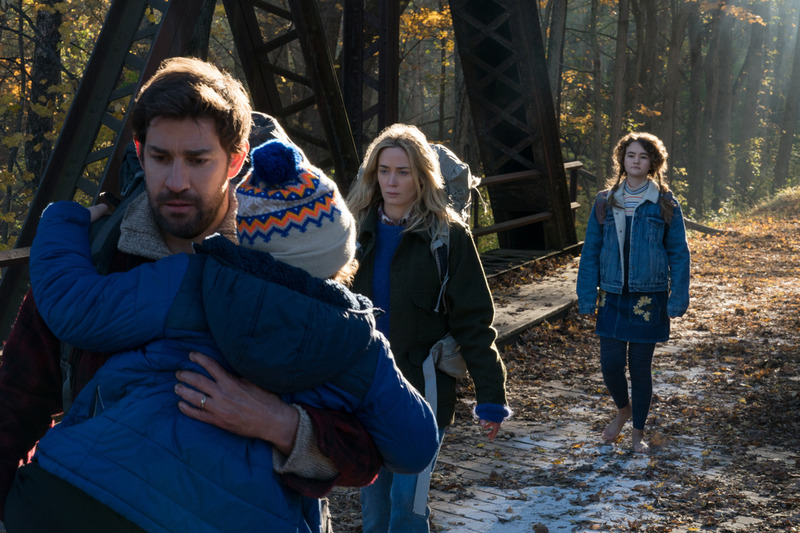 Emily Blunt, John Krasinski, Millicent Simmonds and Noah Jupe all give tremendous performances. 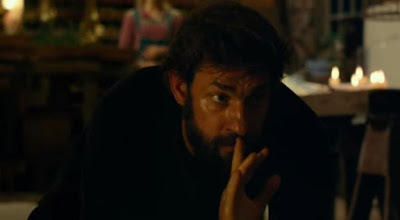 We absolutely love that Simmonds was cast in this role being deaf in real life. It makes us happy to see inclusionary steps being taken to represent disabled people accurately on the silver screen. We thoroughly enjoyed "A Quiet Place," and we think you will too if you like to be kept on the edge of your seat for a film's entire runtime.